Nearly 400 students, parents, business professionals, and Cal State Fullerton faculty and staff spent their Saturday afternoon at Cal State Fullerton’s Titan Student Union on Oct. 27 for the sixth annual Titan Fast Pitch, which gives Southern California university, high school and middle school students an opportunity to showcase their entrepreneurial talent to judges from a wide range of industries. 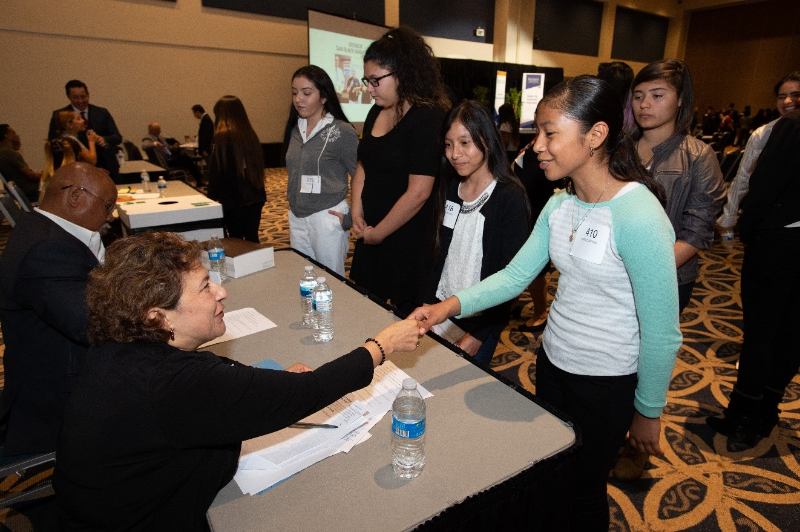 Featuring more than 150 student participants and 50 judges, the event provided 12 scholarships of up to $1,500 for winners. The four recognized university winners included three Cal State Fullerton students, with Nicholas DeOrian ’18 taking the top spot. The format, in which presenters must give a brief and compelling synopsis of their vision in 60 seconds or less, gives students invaluable skills for personal networking in addition to entrepreneurial acumen. Presented by the Mihaylo College Center for Entrepreneurship and Center for Economic Education, this year’s event was platinum sponsored by MUFG Union Bank. U.S. Bank sponsored the middle school and high school portions of the competition. 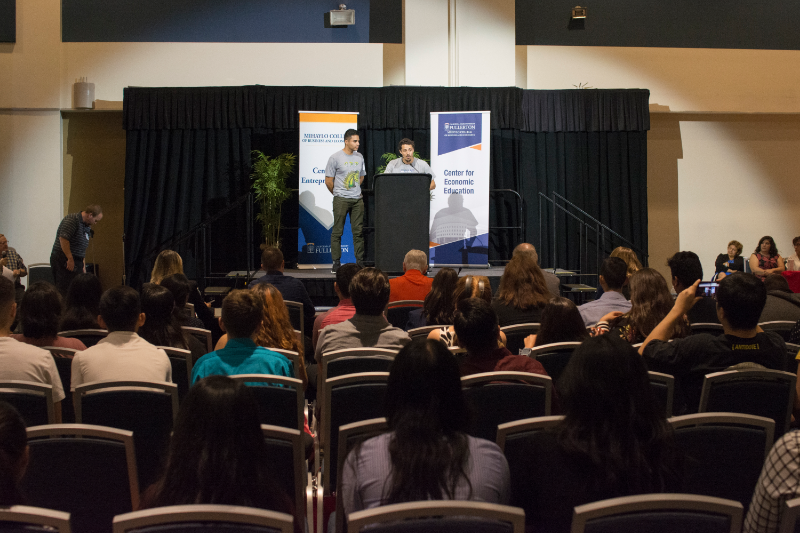 For a complete overview of the event, its sponsors and the winners on all levels, continue reading on the CSUF Entrepreneurship blog, which is written and maintained by the Center for Entrepreneurship and provides regular updates on the center’s events and activities.